Anyway it's the first time I'm actually happy with his pictures taken using my DSLR aaaand he did not ask me this "eh why so blur ah" LOL thank you auto focus!!! I absolutely love the details of this cardigan and when I first saw it I thought it was kinda old looking and was afraid it wouldn't suit me but, it fits me surprisingly well so now I'M IN LOVE. Oh before I continue, I have a little rant. BTW, I don't understand why people are calling this a 'kimono' and be like 'oh you know kimonos are super in trend right now?!' You wanna know what's a kimono??? Yes it's bell sleeved but for god's sake stop calling a chiffon cardigan a kimono wtf it's really getting on my nerves. Okay moving on... The prints on the cardi was pretty bold and colourful so I decided to tone down rest of my outfit. Decided to give my boots another chance because the previous time I wore it (in my post witching hour), it hurt me so bad and gave me 6 cuts on my leg. Aaaaand I regretted wearing it out ha ha. I thought that my outfit looks rather plain so I put on a simple beaded necklace. Can you believe I bought it for around 5 bucks? Where can you find such a cheap deal? It can be worn as a bracelet too if you like. Anyway gonna do a shopping guide next week to show y'all where to get really really cheap clothes so stay tuned! CHIffon cardigan is on my whishlist. I just cant find them yet on my local thrift store/local boutiques. 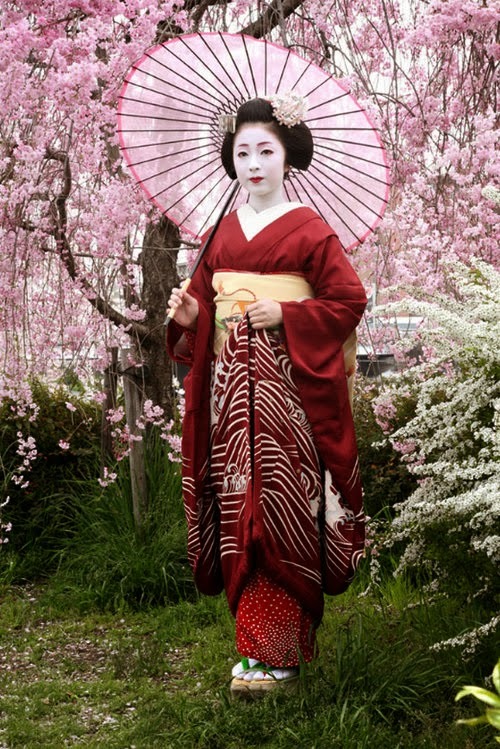 Yes, people confuse me too on calling that outerwear a kimono..
Wow! That cardigan is gorgeous! And it does not look like a kimono! gosh i love your style and you are absolutely gorgeous!